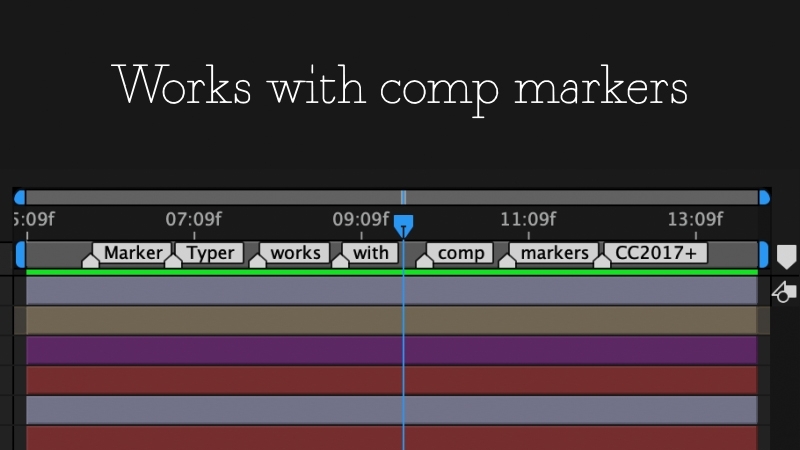 Marker Typer for After Effects creates a batch of layer markers from text automatically split at letters, words or commas. This can be extremely useful in marker triggered animation or just in general project organization. 1. Select the layer or layers that you would like to add markers too. 2. Type out the text you want transformed into markers. 3. Choose to split that text into separate letters, words, or at commas. 4. Choose how many frames to put between markers. If you need to nudge some markers around, just place the playhead between the markers you want add space and nudge. Each click will nudge the markers by the number of frames specified in the UI. If you need a clean slate, this button will save the tedious process of Cmd-clicking each of the little markers just to get rid of them. Sometimes what you want your markers to say isn't easily typeable in a string. 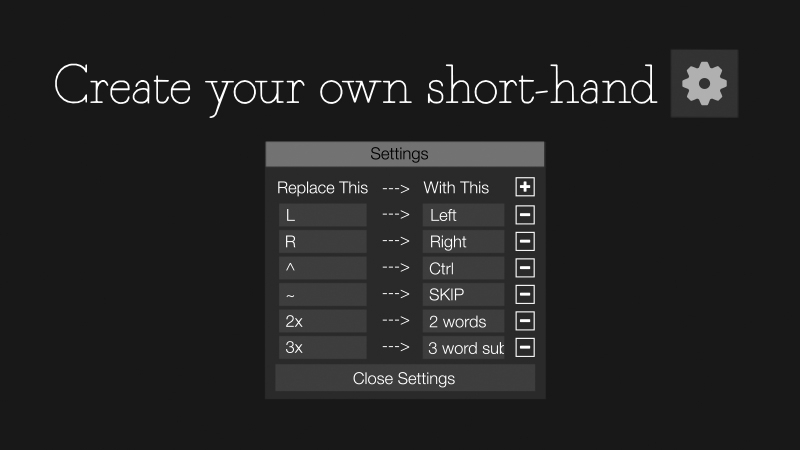 You can use this settings panel to set up your own shorthand. 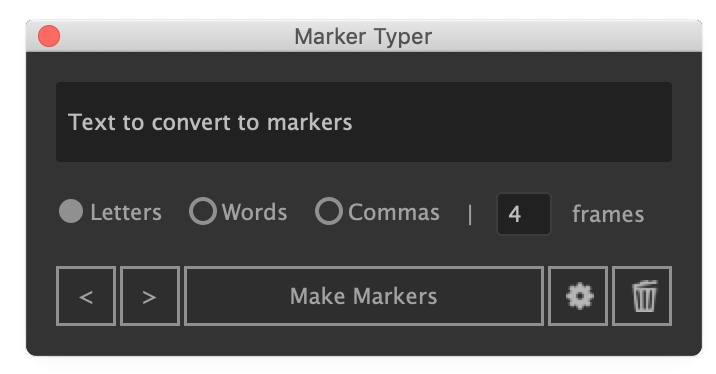 Bonus: If you setup a shortcut for "SKIP", or use "SKIP" in word or comma mode, Maker Typer will skip putting a marker in at that point giving a little pause if used with marker based animation. If you're using After Effects CC 2017 or above, Marker Typer will offer to create, nudge, and delete markers if no layers are currently selected when running any of its functions.